During our Product Lists & Filtering usability study we discovered how ‘Load More’ buttons can outperform both pagination and infinite scrolling, but also uncovered a number of severe pitfalls that can offset any gains. 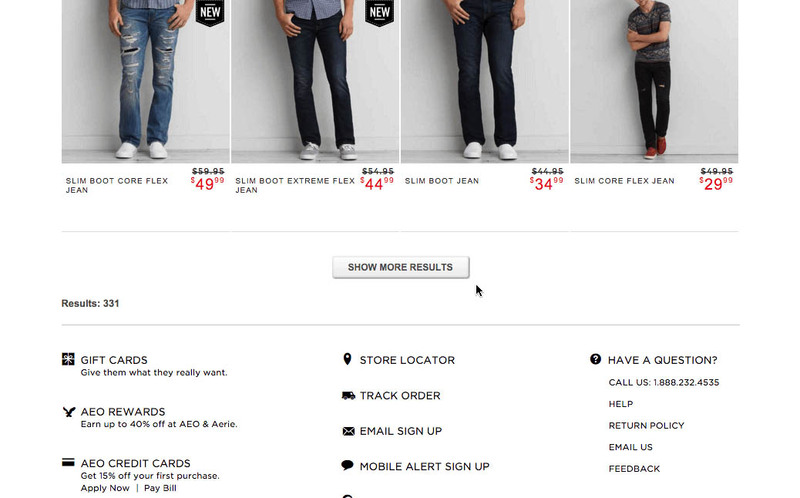 In today’s article, we’ll present our usability test findings on the best UX pattern to display products on an e-commerce site: Pagination, a “Load More” button, or Infinite Scrolling. The article is published as a guest post at Smashing Magazine and includes findings from both our mobile and desktop findings, along with how search results need a different product loading method than category navigation. Authored by Baymard Institute. Published on March 1, 2016.